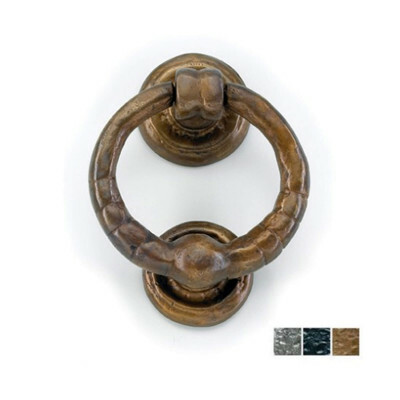 A beautiful Hand Forged Pewter Peardrop Night Vent Fastener. Main picture is RIGHT Hand. 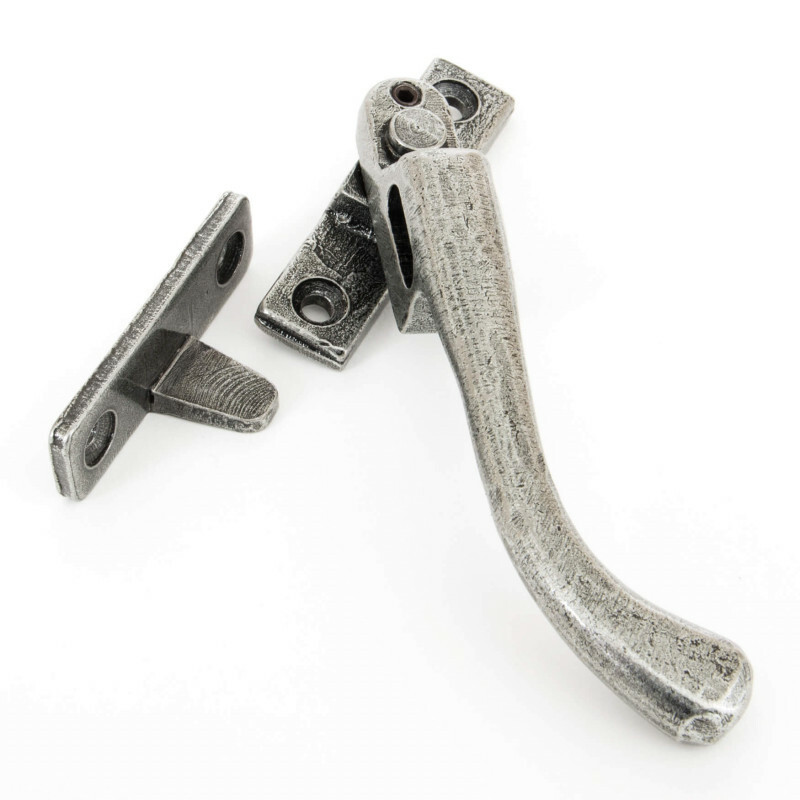 This Hand Forged Pewter Peardrop Night Vent Fastener is forged from steel. The skilled craftsmen are able to draw the steel which makes it very tactile, providing a really beautiful piece of furniture. 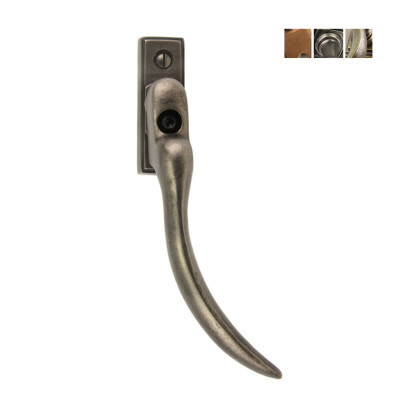 These fasteners come with a lock and a night vent position built into the handle itself so you can leave the window slightly ajar, whilst keeping it locked. i.e. 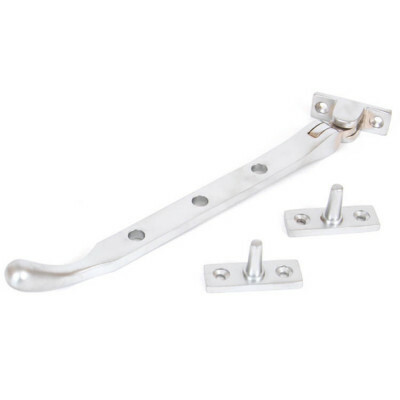 It is night venting and can be locked in both the open and closed positions.This means that these fasteners are handed you need to choose between LEFT and RIGHT handed fasteners dependent upon which side of your window they need to be fixed. 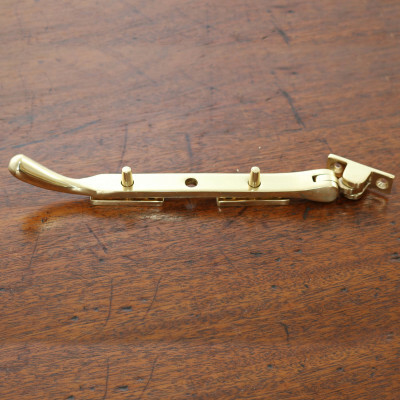 The photographs are taken showing the which direction the fasteners points please look at these carefully before ordering.